Some men were born to fight and so much so that they are not going to let few Army “suggestions” like not deserting your unit stop them from doing so. 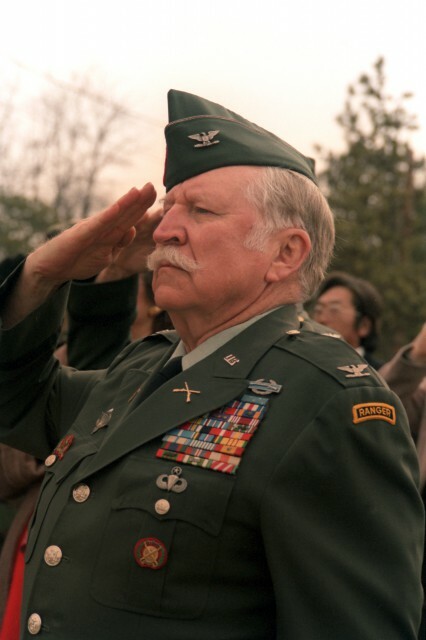 Colonel Lewis Millet is a Veteran of the 2nd World War, Korea, and Vietnam. It is hard to imagine such an experienced warrior with a distinguished career ever being court-martialed for desertion, but that was precisely the case for this Medal of Honor recipient. His grandfather had fought in the Civil War and his uncle in World War 1. Consequently, from early on Millett knew he wanted to serve, but more specifically fight. And when it looked like America would not jump into the fray of World War 2, this man jumped ship and headed to the closest country that was already in the fight. Not the most legal thing to do in those times, but all Millett was concerned with was getting into the fight. Lewis Millett joined the National Guard before he even graduated High School in 1938. Pleading with his classmates to be ready for the coming war, he saw it his duty to be ready to serve from day one. In 1940, he joined the US Army Air Corps. But when President Franklin D. Roosevelt gave a speech stating that America would not be going to war against Hitler, Millett decided he had spent enough time waiting, and he decided he would just leave and find his way into the fight. In mid-1941, he joined a friend who had received a bad conduct discharge from the Marine Corps and deserted his Army post to head for Canada. As part of the British Commonwealth, the Canadians were already at war, and he figured this was his best chance to see some action. Both he and his comrade joined a Canadian artillery unit only to be transferred to a top-secret radar interception unit. He would later remark at the hilarity that an Army Deserter and a Marine with a bad-conduct discharge were selected for such a top-secret unit. But that was war. The world was committed, and the need for real action was greater than the need to follow the rulebook. By the time Millett arrived in England to truly join the fight, America had already entered the war after the bombing of Pearl Harbor. Consequently, he was allowed to be transferred to an American Armored Field Artillery unit in Ireland. After serving in various combat engagements in North Africa, he would receive the Silver Star for driving a track full of burning ammunition away from his fellow troops, but that is what a man like Millett would just call a typical afternoon. When in Italy, his desertion from the US Army finally caught up with him as his superiors relented to the pressure to hold him to account. He was found guilty of desertion, fined $52, and then promoted to 2nd Lieutenant just weeks later. It probably didn’t hurt that he had also previously shot down a Messerschmitt Me-109 with a half-track mounted machine gun, but the Army by this point respected his warfighting capabilities no matter how you look at it. After World War 2, Millett would find himself again in the National Guard before being called back to active service. He then served in Korea as a Captain where he would earn his Medal of Honor. 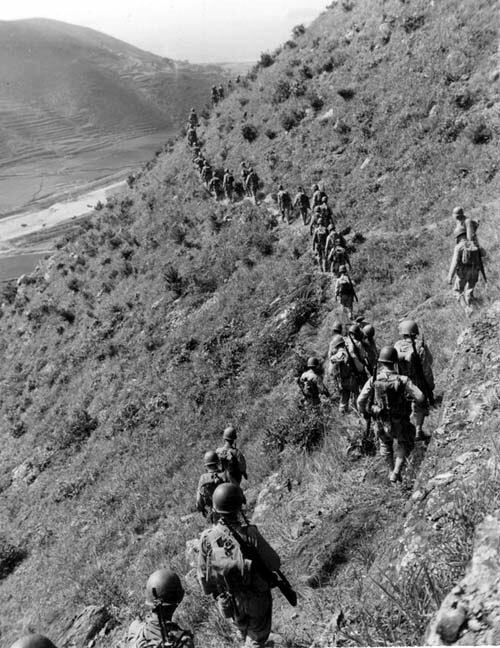 On a patrol with his unit, they became pinned down by a combined North Korean and Chinese force in 1951. Charged with taking the hill, Millett, with bayonet fixed, led his men up the hill as the enemy threw down grenades upon their position. He was wounded by grenade fragments in the legs but refused evacuation until the hill was taken. With his men following suit, bayonets fixed, they took the hill where of the 50 dead enemies, 20 or more were killed with the bayonet. It was considered the most complete and true bayonet charge in a hundred years and none the likes of we have seen since. Millett even remarked that he was surprised how easy it was to put a bayonet through a man’s skull and attributed it the strength that comes with the adrenaline of an assault. For his leadership on this hill and conspicuous gallantry, this one time deserter was awarded the Medal of Honor. With so much fighting behind him, you might think this man would call it quits, but he continued to serve in the United States Army on into the Vietnam War serving as a Colonel. He participated in the controversial program known as the Phoenix program that was designed to root out Viet Cong sympathizers. However, he eventually retired from the Army in 1973 as it appeared there was no fight in the near future worthy of his skill set. The man just wanted to fight, and his accolades in combat proved that. So what if he received a court-martial for desertion? There is not a fighting force on the face of this planet who wouldn’t enlist Lewis Millett as one of their own. 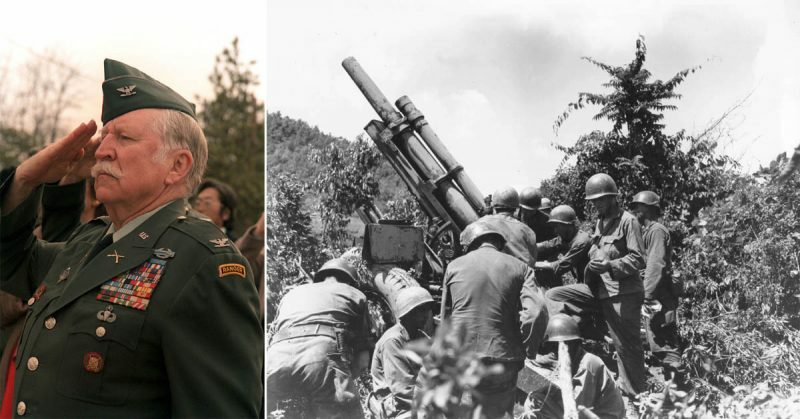 He was a National Guard soldier, Army deserter, Canadian radar operator, Silver Star hero of World War 2, Medal of Honor recipient from Korea, and able officer in Vietnam. That is as complete a resume as any warrior could come by.